bus parked behind it. There are also people on the bus. 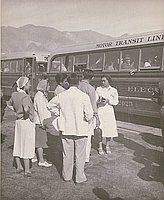 Name on the bus reads: Motor Transit Line. 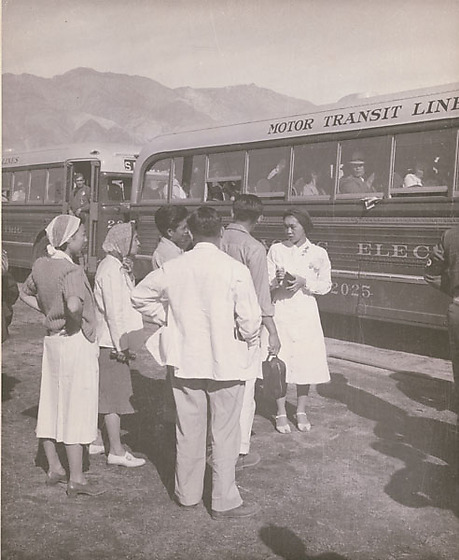 Along side of bus is partial view of bus maker: [P]acific Electric. On the second bus, a man in a military uniform and badge stands in the doorway of the bus.